Our Classic Blend Extra Virgin Olive Oil is blended from four olives typical of Provence. Enjoy a true taste of France with our olive oils from the Provencal orchards of actor Jean Reno. Made with ancient techniques, they are silky and smooth with subtle aromas of terroir that will hook you forever on French olive oil. Our Reserve Jean Reno Olive Oils are exclusively imported from a region of Southern France famous for olives since the early Roman Empire. Maussane-les-Alpilles, in the heart of the Vallée des Baux-de-Provence, continues to rank as France’s top olive oil producer with AOC status. Award-winning actor Jean Reno has lived there for over 25 years and has become a passionate and expert olive grower, president of an olive oil association, and now a producer of fine olive oils. 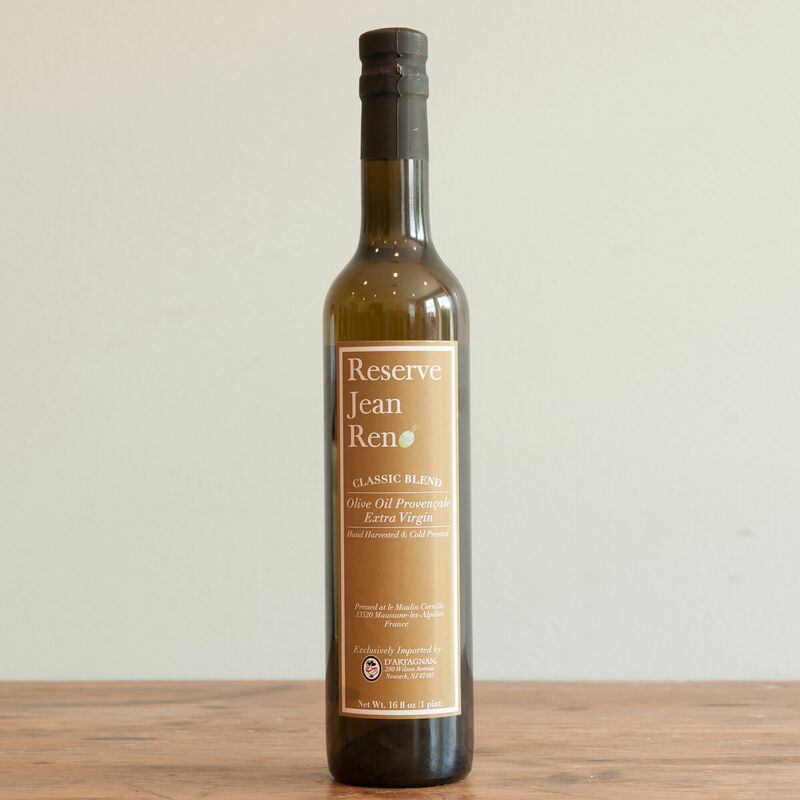 Hand harvested in Jean Reno’s orchard, the olives are processed in the traditional way: whole fruits are aged for a brief period to intensify flavors, crushed into a paste under ancient granite millstones, and then mechanically cold pressed to extract pure, unfiltered olive oil. The terroir of Provence is evident in the delicate flavors and aromas of these premium French olive oils.